Sievert was born in Stockholm, Sweden. 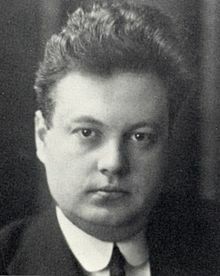 He served as head of the physics laboratory at Sweden's Radiumhemmet from 1924 to 1937, when he became head of the department of radiation physics at the Karolinska Institute. He played a pioneering role in the measurement of doses of radiation especially in its use in the diagnosis and treatment of cancer. In later years, he focused his research on the biological effects of repeated exposure to low doses of radiation. In 1964, he founded the International Radiation Protection Association,[clarification needed] serving for a time as its chairman. He also chaired the United Nations Scientific Committee on the Effects of Atomic Radiation.